John Goddard, Bishop of Burnley, is to lead a Service of Dedication on Sunday 16 February (10.15) to the new artwork “Revelation” in St Johns Church, Silverdale, designed and created by glass artist Sarah Galloway. The St John’s PCC commissioned the artwork because the church’s tall west Tower was susceptible to draughts. The purpose of the new glass screen is to decrease the volume of air within the church so as to improve comfort levels for users. 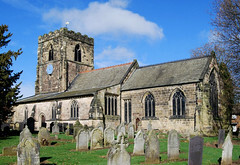 After The Friends of St John began fundraising, in 2011 architects Blackett-Ord Conservation Architecture, based in Appleby-in-Westmorland, commenced on site research and monitoring. A temporary plastic screen was installed in order to carry out airflow modelling exercises and the extensive experiments undertaken by the architects indicated that a glazed screen would make both a significant contribution to thermal comfort within the church whilst reducing heating costs. When designing the 6m x 2.5m glass screen Sarah Galloway was inspired by themes relating to Genesis, whilst also referencing the local countryside in a semi-abstractive manner. Exploring Revelation 21:1 and the “.. water of the river of life, bright as crystal, flowing from the thrown of God and either side of the river, the tree of life…” Sarah has interpreted these words as a border: the layout of the work concentrates tree and water motives around the edge and bottom of the glazing, expressing the design using deep sandblasting to create lines of texture on both sides of the toughened 15mm glass. After the many months of planning and the complexities involved installing the artwork, the Vicar of St Johns, Canon Paul Warren, is very pleased with the end results. “Sarah’s artwork looks splendid. I’ve found it fascinating to observe the design in different lights and at different times of day. There’s often something new to discovered”. Artist Sarah Galloway has designed and created many glass artworks across the UK. 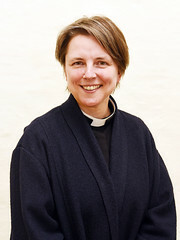 Working from her studio in Pilling, Lancashire, Sarah creates glass artworks for both religious and secular buildings. In recent years she has designed and made the windows for Sunfields Methodist Church in Blackheath and West Leigh Baptist Church in Essex as well as creating glass artworks for Blackburn town centre and Blackpool Victoria Hospital. She has made artworks for clients including Sunseeker International Yachts based in Poole, Dorset and The Daffodils Hotel and Spa, Grasmere, Cumbria. Recently in the headlines after the public showing in Lancaster of the Silverdale Hoard, one of the largest collections of Viking silver ever found in Britain unearthed in 2011, Silverdale is a picturesque village nestling on the shores of Morecambe Bay on the Lancashire-Cumbria border. 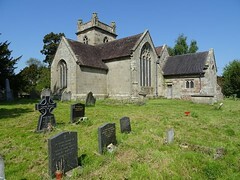 At the heart of the community, St John’s Church is lively and well used. Completed in 1856 the Grade 2 listed church was designed by prominent Manchester architects Ball and Elce, who produced some of the most innovative buildings of the time and who worked closely with the sculptor J.J. Millson who carved the statue of St John the Evangelist beneath the church’s imposing Tower. Designed in the decorative style, the stained glass in the West window is by Shrigley and Hunt of Lancaster, whilst either side two modern windows by Linda Watson, “The Creation” (2006) and “The Resurrection” also by Shrigley and Hunt and dedicated in 1972 add to the glass scheme.